We are continuing the series we started earlier in the month and sharing more beautiful feltmaking by our friends and colleagues! 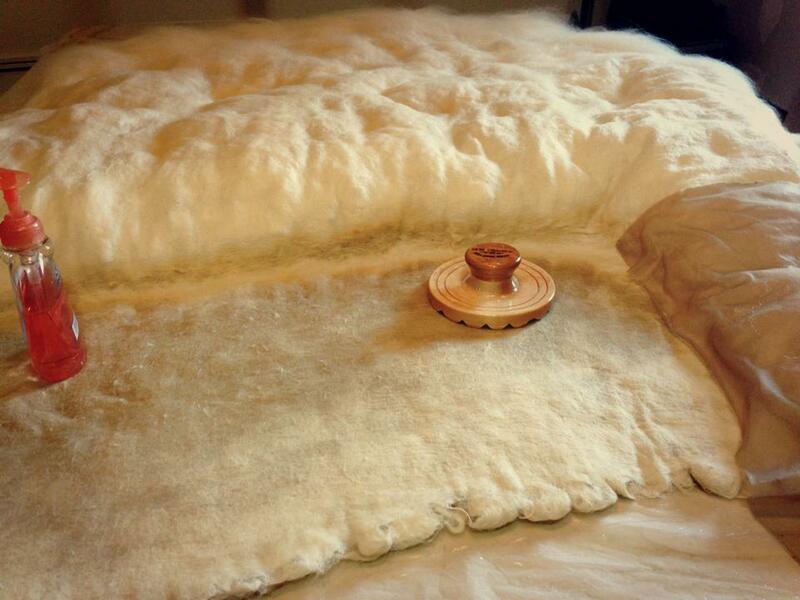 We just love seeing all the fantastic felt art being made around the world, and we are delighted to be part of their feltmaking process through our felting tools, the Palm Washboards. 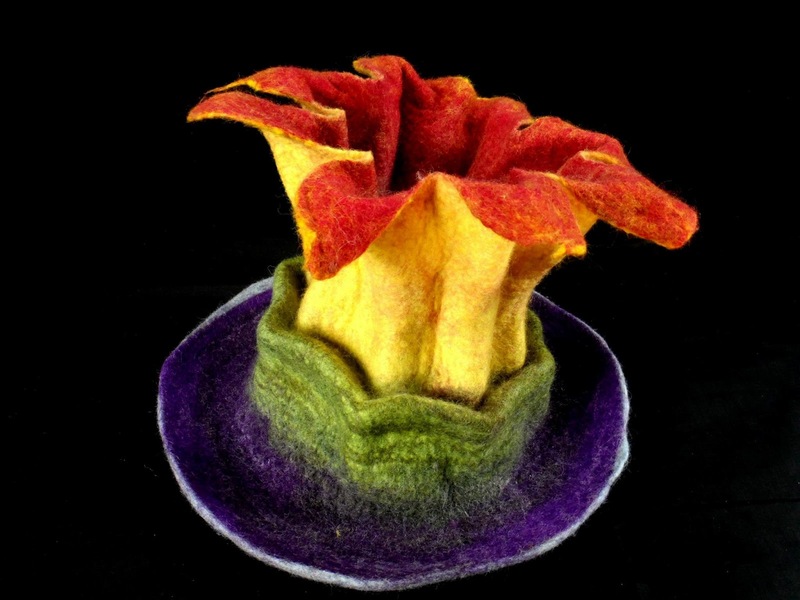 We regularly share many more works by a variety of felt artists on our HeartFelt Silks Facebook page, so please follow us there for even more inspiration! 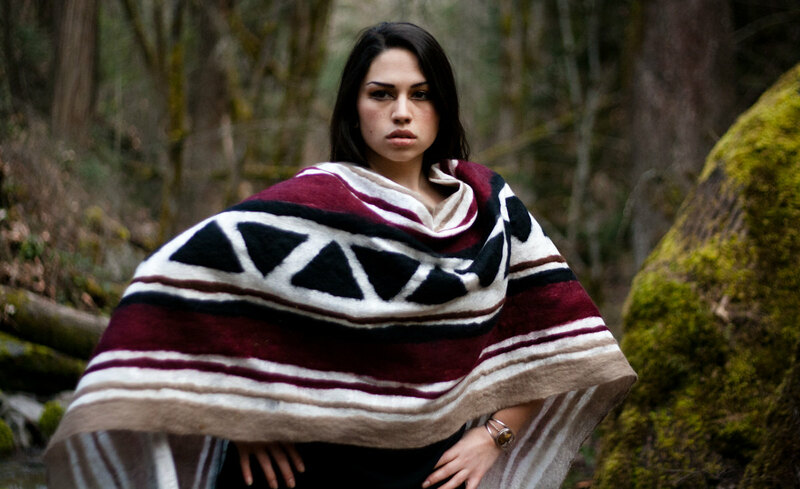 Nicole Burton of Parvana Creations (based in Ashland, OR) creates hand-felted and hand-dyed works of wearable art and home decor that have a unique and dramatic style. 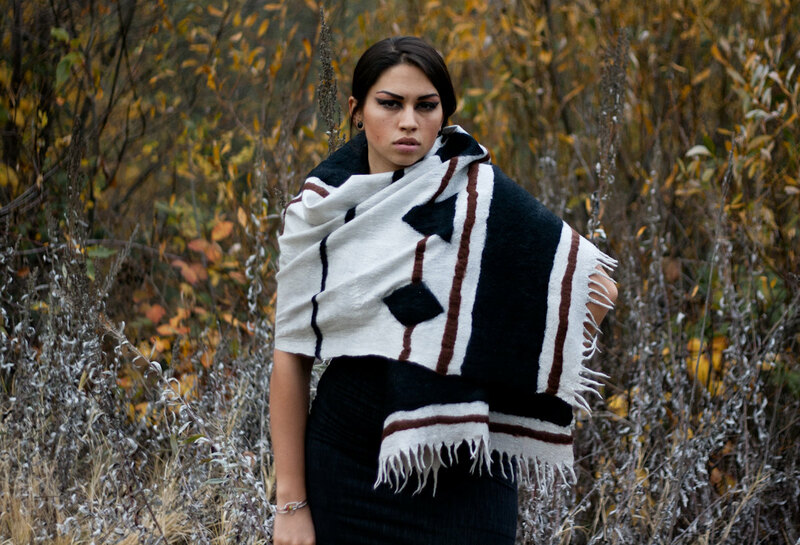 Take a look at these Native American inspired wraps, aren’t they incredible! 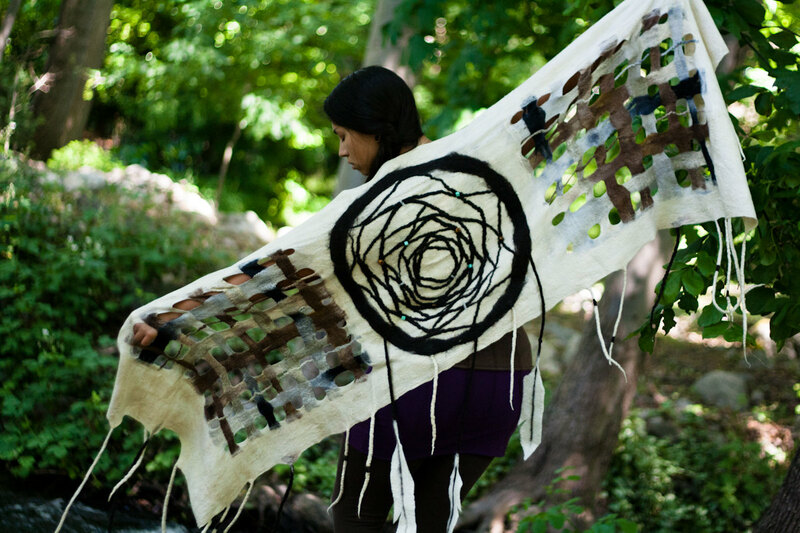 And here is Nicole making one of her impressive felt pelts. 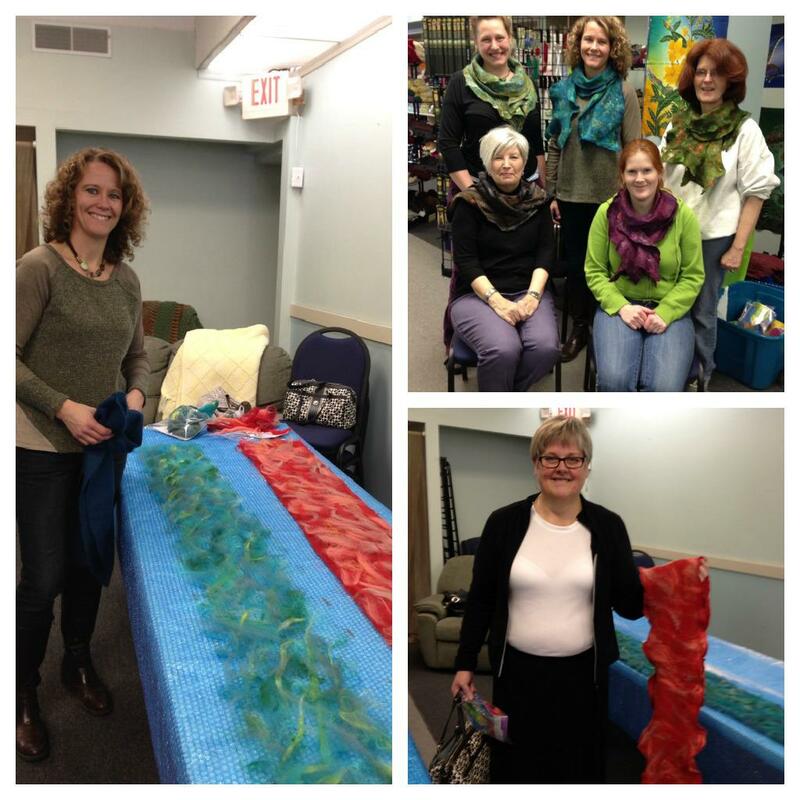 You can follow Parvana Creations and Nicole’s adventures in felt-making on her Facebook page. 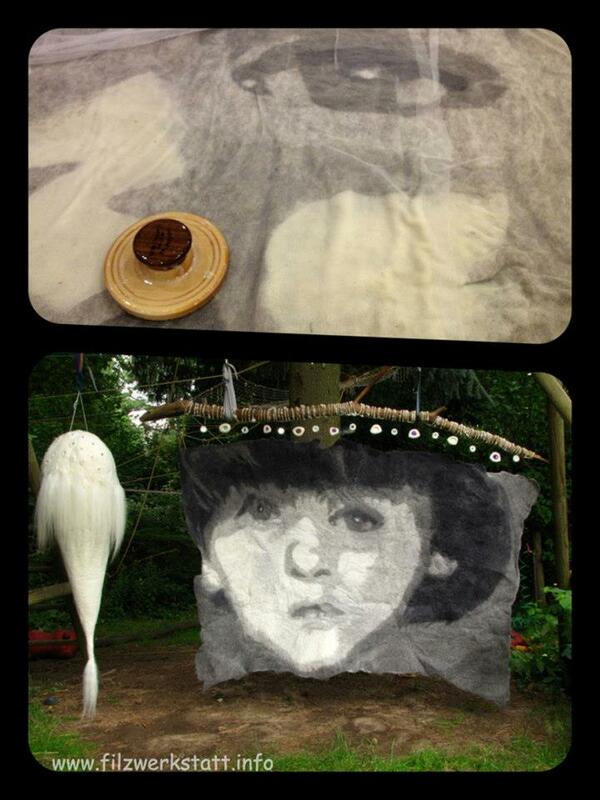 We are glad to count Cristina Pacciani of Cricri Felt among our felt-making friends. 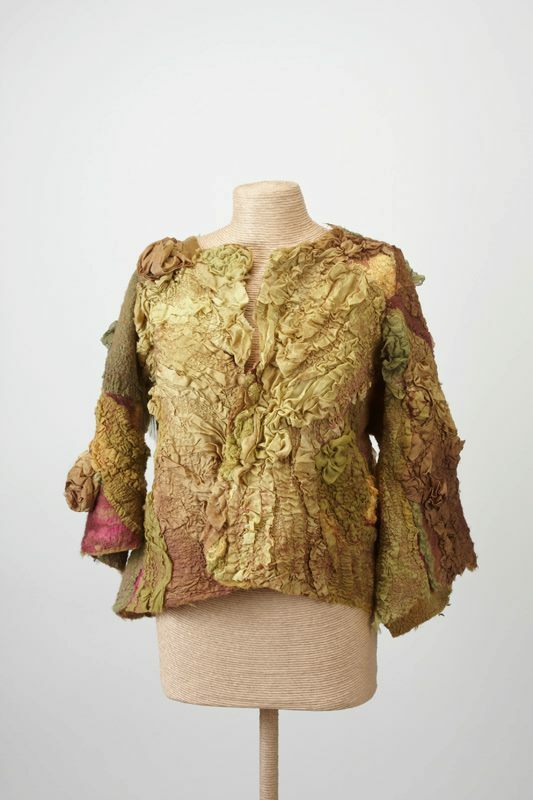 Cristina has a studio and store in Amsterdam where she works on wondrous felt art and teaches classes. 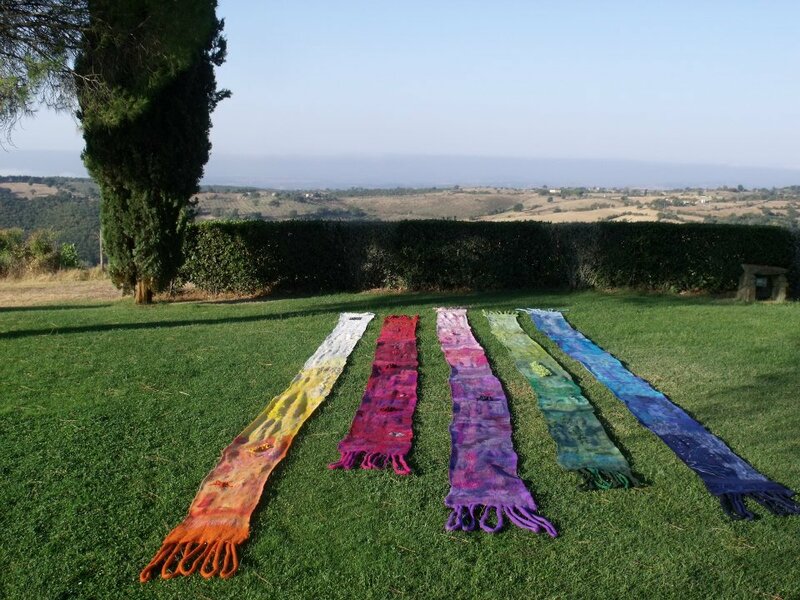 Cristina is also the organizer of the amazing Arlecchino Project — a collaborative worldwide project with felted large-scale installations in public places. You can find out more about it on the Arlecchino Project Facebook page. 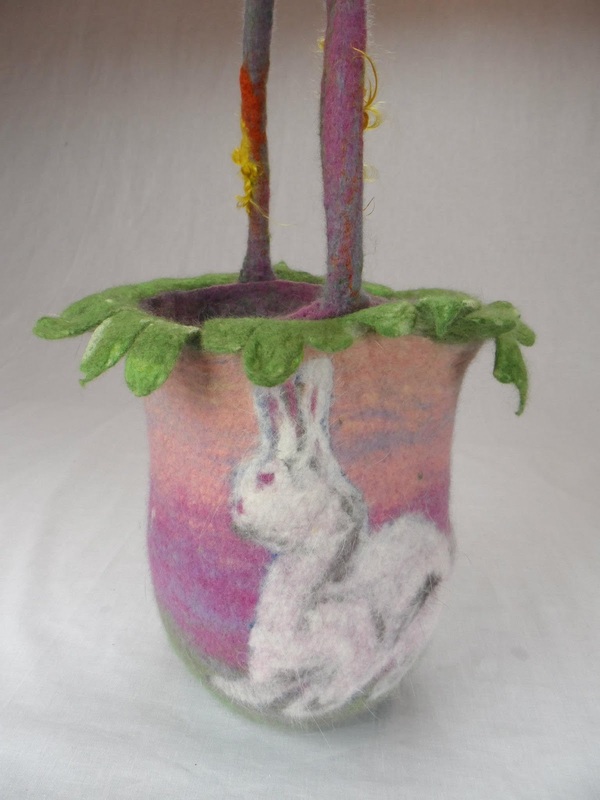 Chrissie Day is a talented knitting and felting artist, teacher, and book author from the UK. 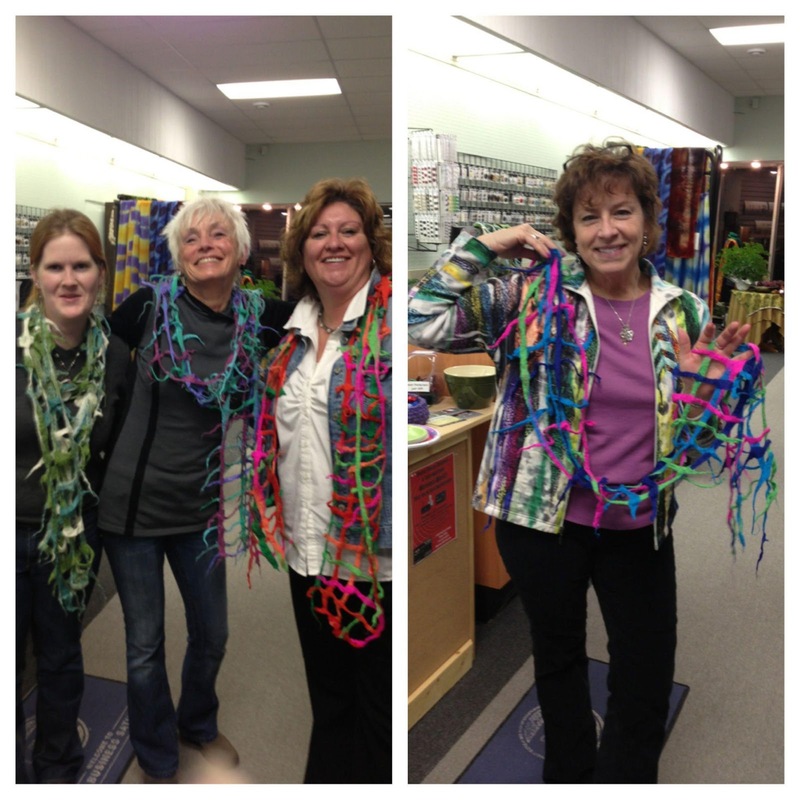 Check out these lovely creations by Chrissie. You can also follow her on Facebook. 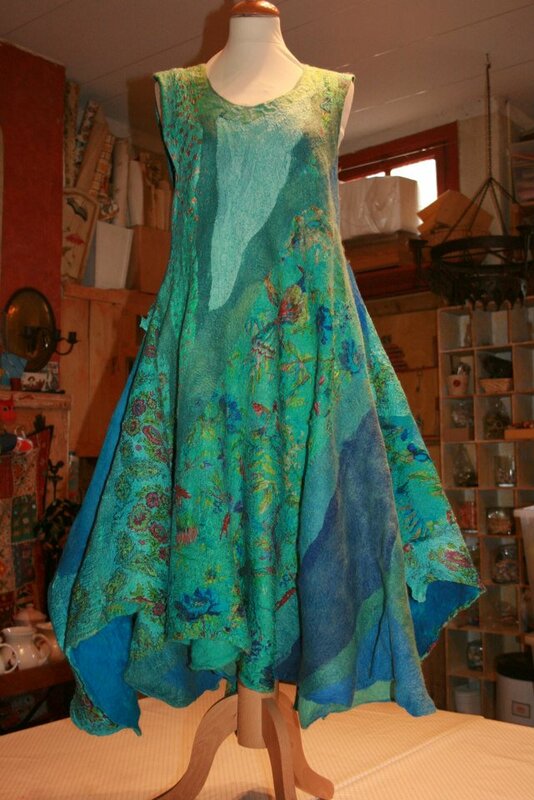 One of our other gifted colleagues is Peter McMasters of Spry Whimsy Fiber Arts. Peter has a studio and store in Stoughton, WI, where he creates very beautiful felt art and teaches it to his students too. Check out Peter’s very cool and striking vessels below. And here we spot one of our Palm Washboards expertly used by Peter on creating one of his original felted Easter Baskets! 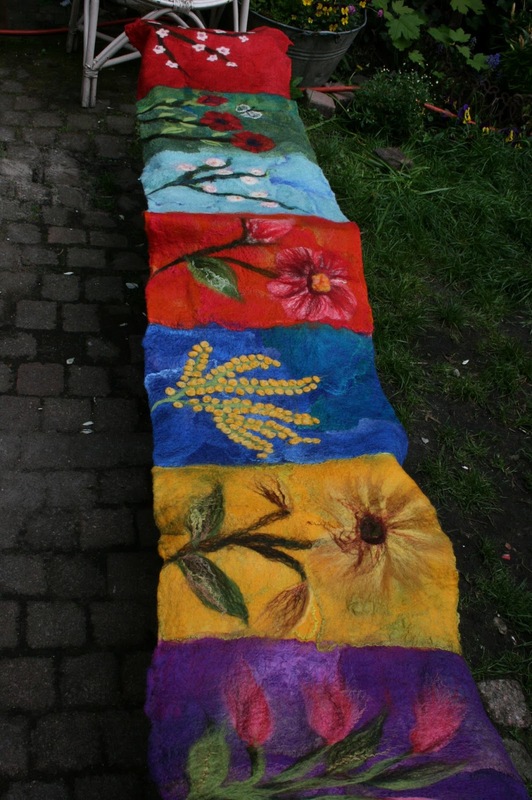 The series of Wonderful Felt Art by Friends of HeartFelt Silks will continue soon. Please bookmark our blog and visit us again! 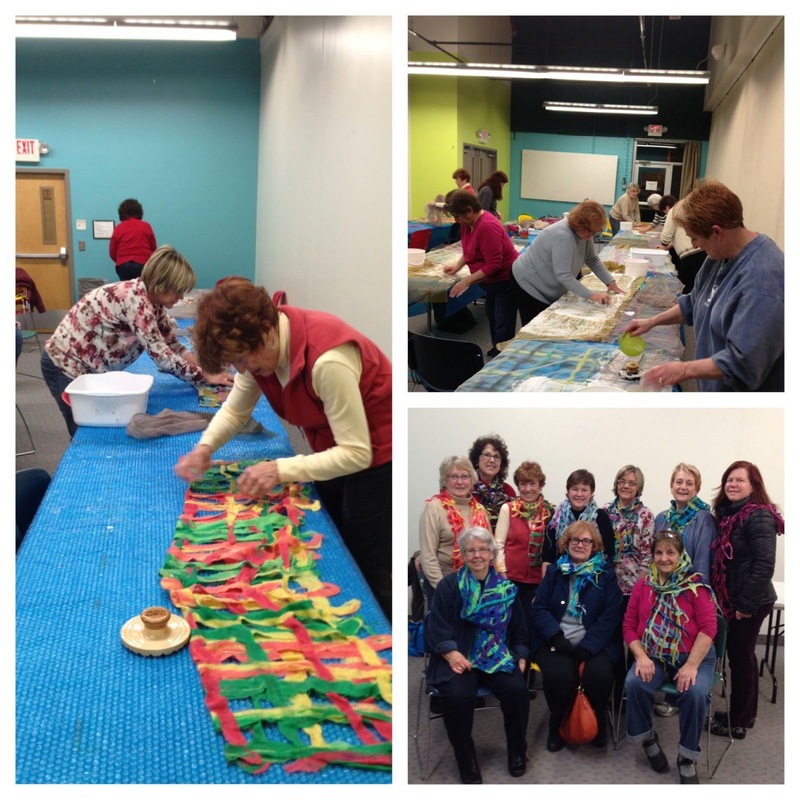 You can see the list of upcoming classes HERE or contact us anytime. 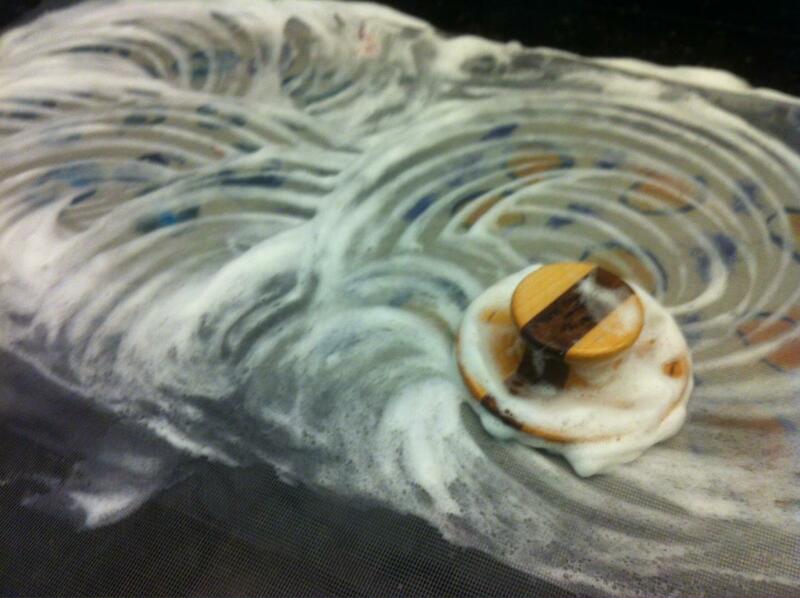 I want to share photos from a few of my 2012-2013 classes. 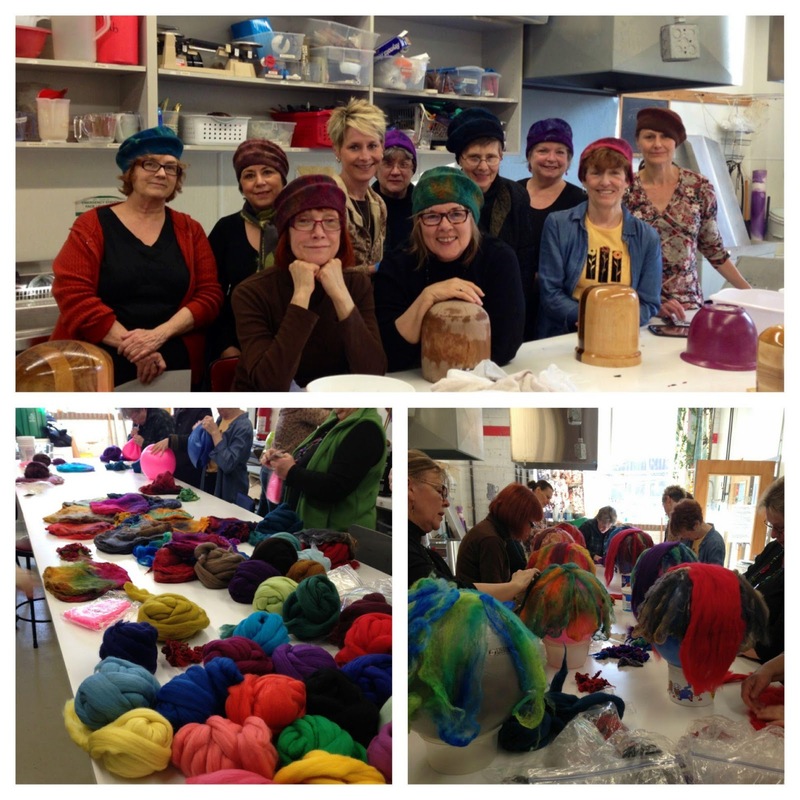 Don’t my students and their felted projects look just beautiful? 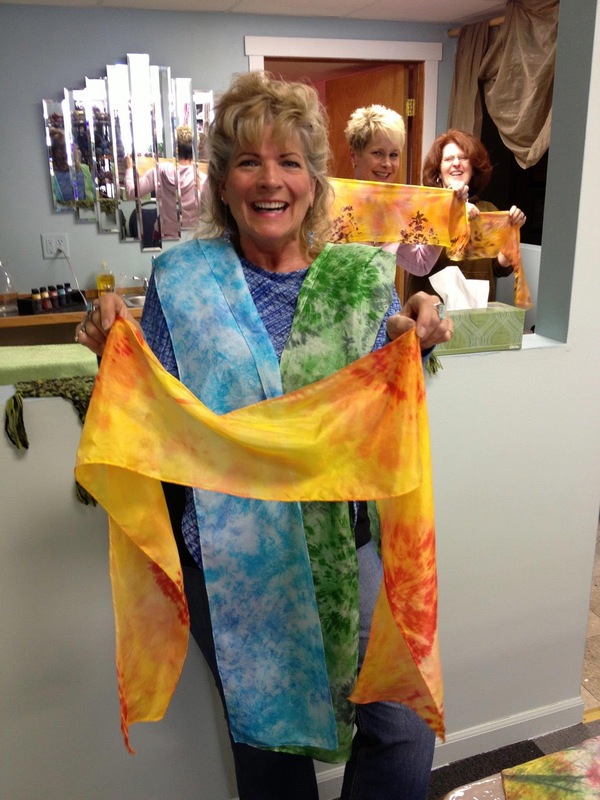 Please stay tuned for the schedule of classes coming up at the HeartFelt Silks studio in Hudson, WI! 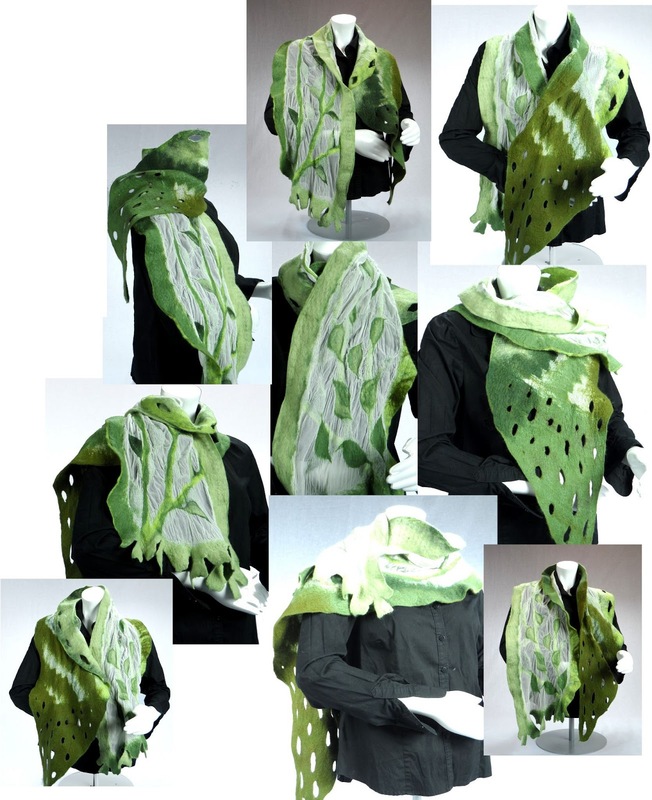 Today we are starting a new series on the blog where we will be sharing with you the artwork of our feltmaker-friends from around the world. 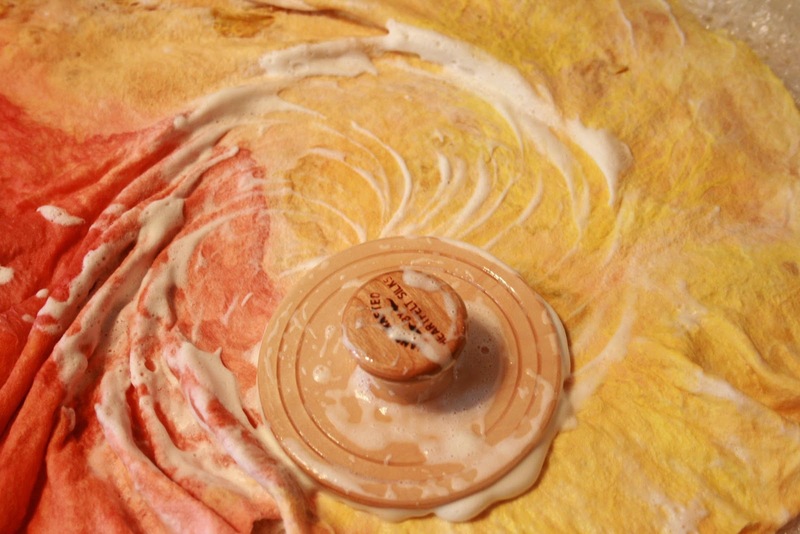 These artists are all extremely talented, and we are so happy to be sharing their work. 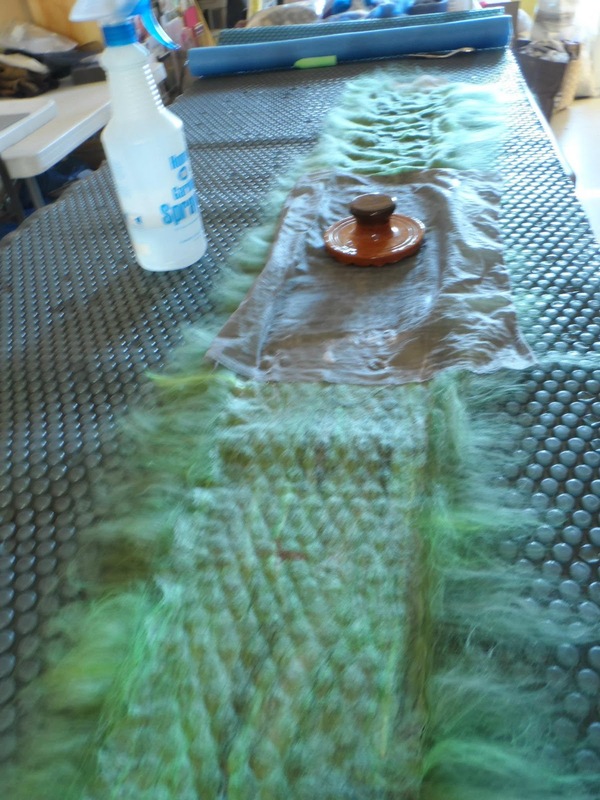 We are also honored that they all use our felting tools, the Palm Washboards, in their work, and that they find the tools useful. So, here it is — Part 1 of the series, and stay tuned for more beautiful felt art by our artists/friends, coming soon! Sandra Struck-Germann is a feltmaker from Germany who creates, among other things, remarkable 3D felt sculptures and portraits. 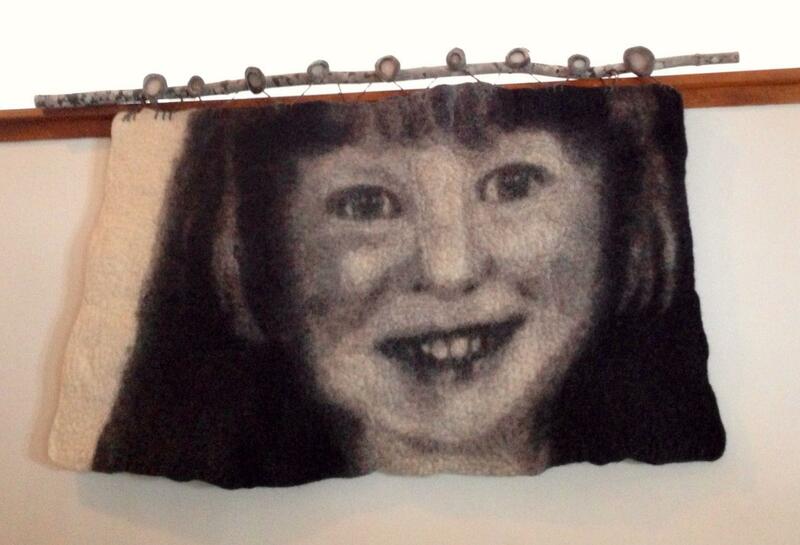 Below is an amazing portrait in felt Sandra created based on a childhood portrait of our daughter Kirsten. 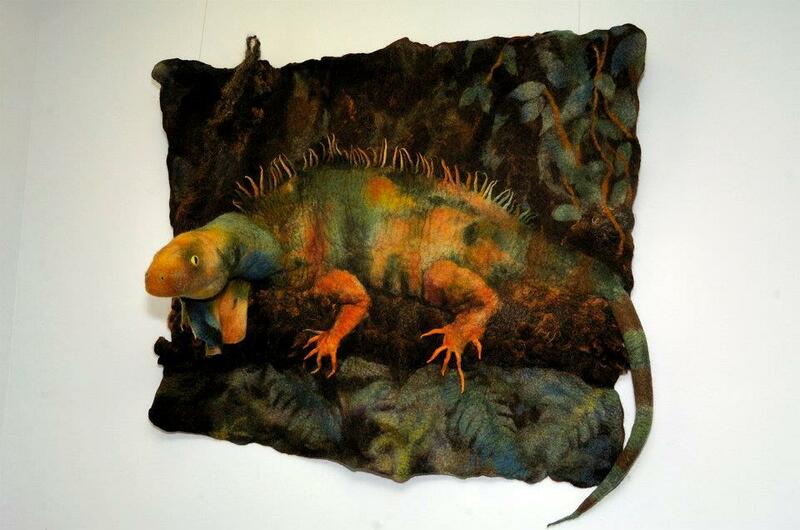 Another felt and mixed media artist whom we respect very much and whose work we adore is Jan Waller. Follow her artist page on Facebook for daily inspiration from the world of felt, and see photos of her incredible works in progress. Jan also teaches felt-making, and she does custom portraits in felt too, so you can contact her for a commission! In the upper right corner in the above picture is a current-day portrait of our daughter Kirsten! One of our earliest supporters is the excellent Cheryl Gentry, and we are so grateful to have had Cheryl cheering for us from the early days of HeartFelt Silks, that has meant a lot to us! 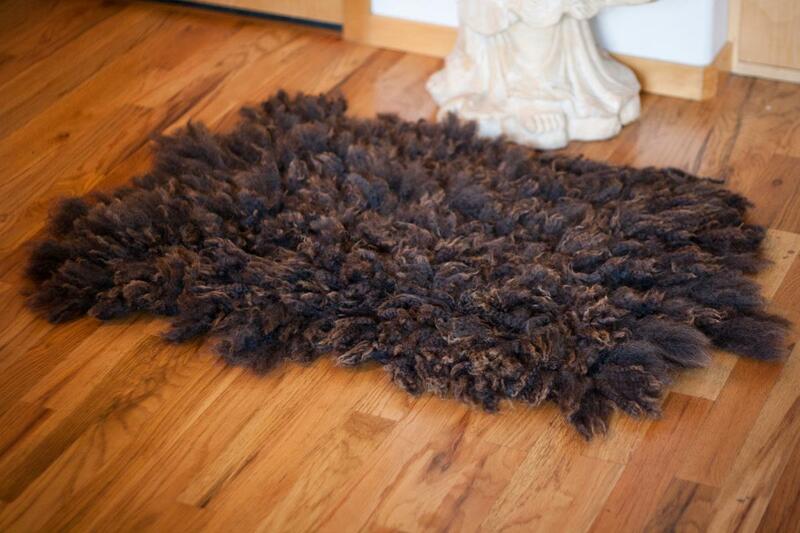 Cheryl was also kind to write about our felting tools for the website Cool Tools. Thank you, Cheryl! 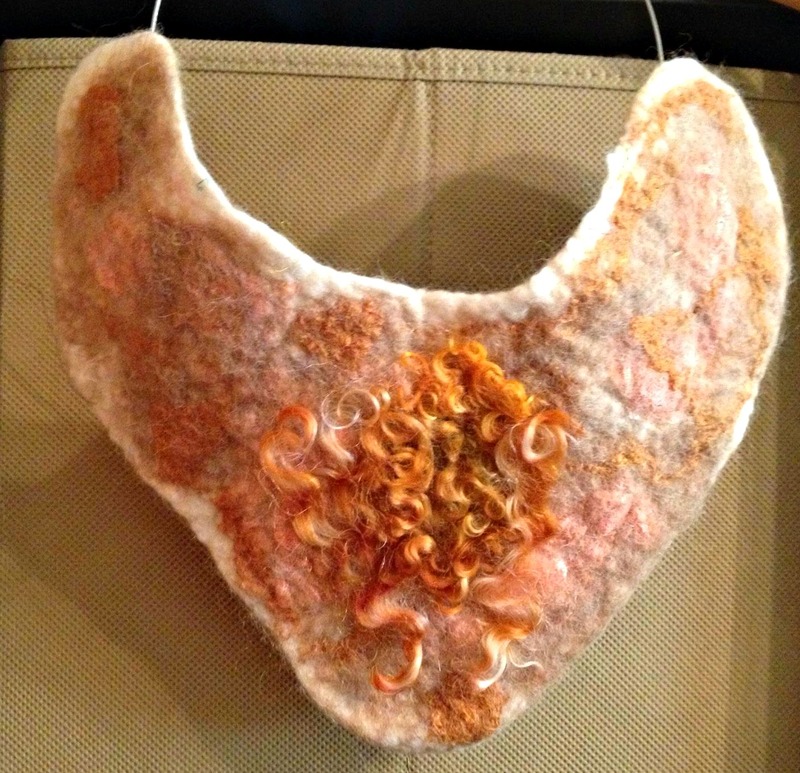 Here’s a very cool collar Cheryl made with merino, alpaca, banana silk thread and Cotswold locks, using our Original, Rounded, and Mini Palm Washboards. 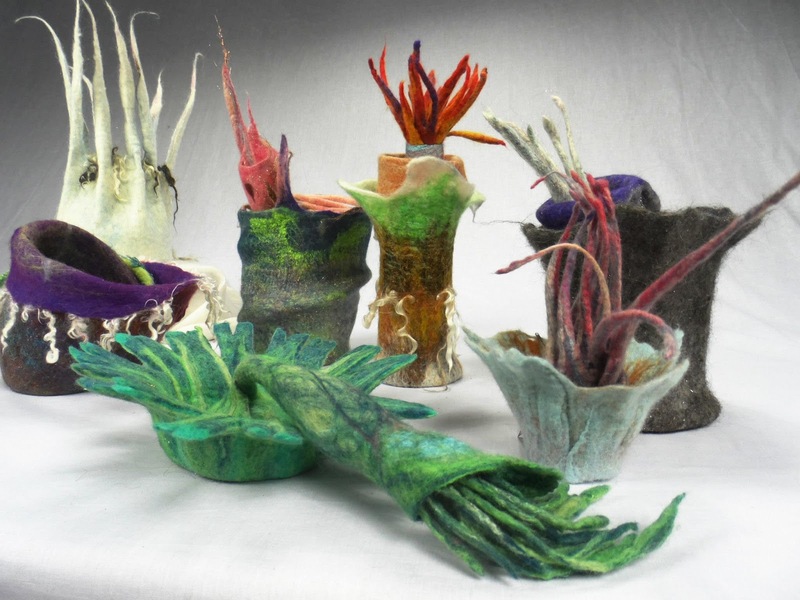 Another dear friend and supporter we want to mention is Cami Smith, a felt-maker and felting teacher who is also the Online Content Editor for Fiber Art Now magazine. 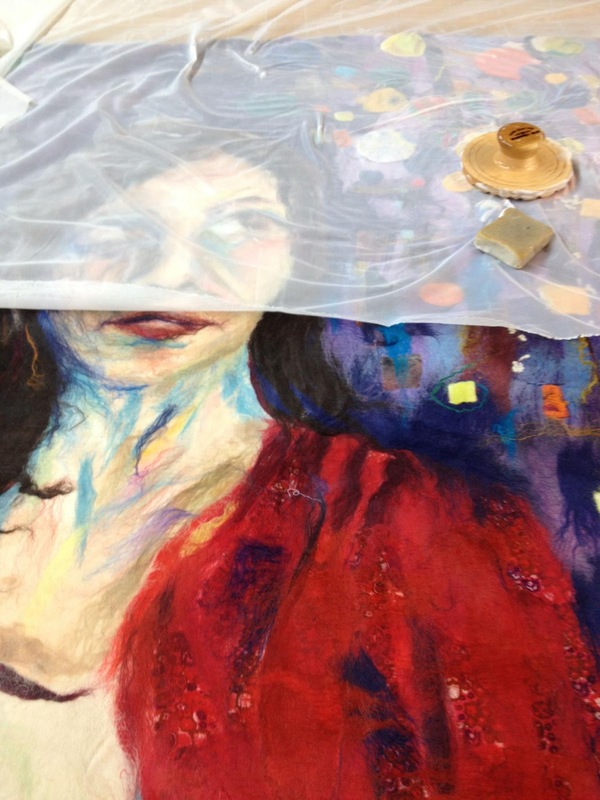 We love seeing what projects Cami makes, and here is a color/texture study she shared with us. 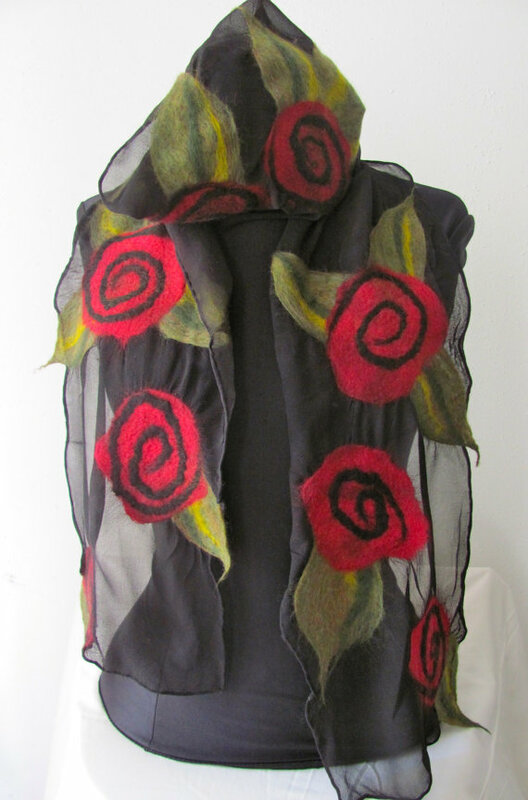 We like Iona Loyola’s nuno felted designs very much, and we are so pleased to know that our felting tools have come in handy in her work. 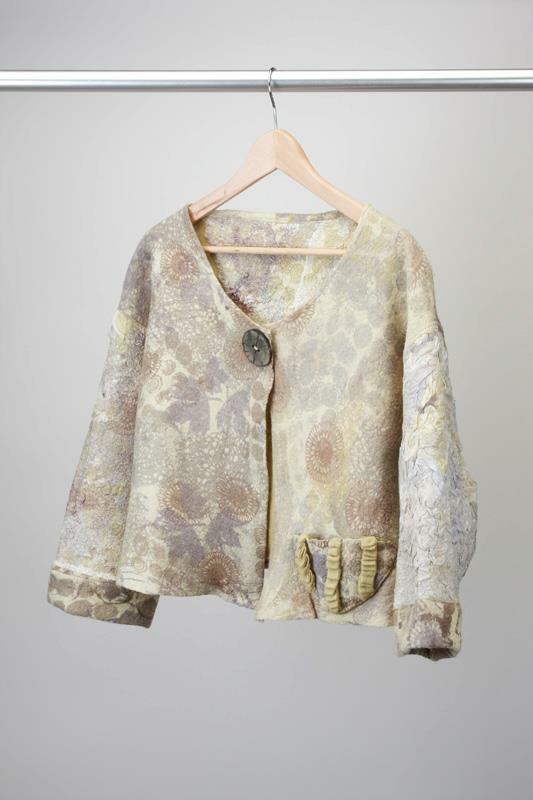 Please visit Iona’s website, shop, and see her designs at art shows in the NYC area, too! 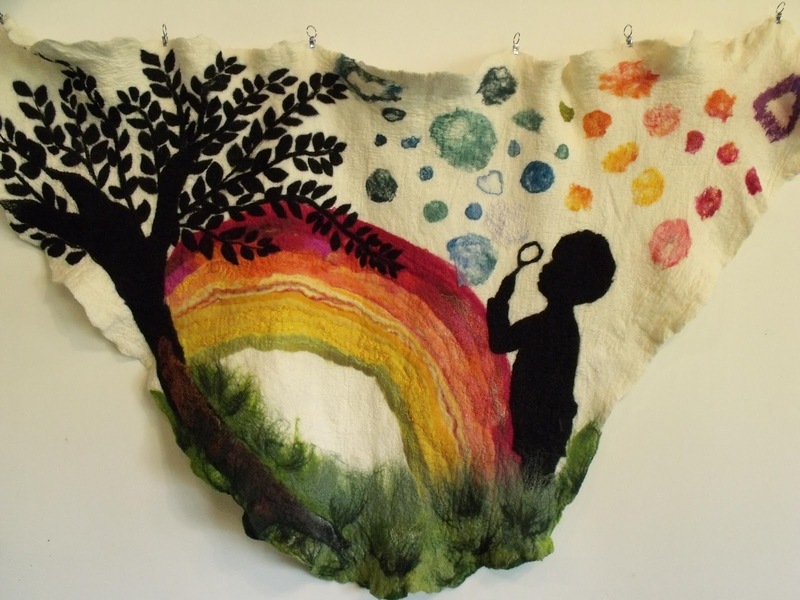 We have a lot more beautiful felt-making to share with you, so please come back to our blog soon, for Part 2 of our series “Wonderful Felt Art by Friends of HeartFelt Silks”! 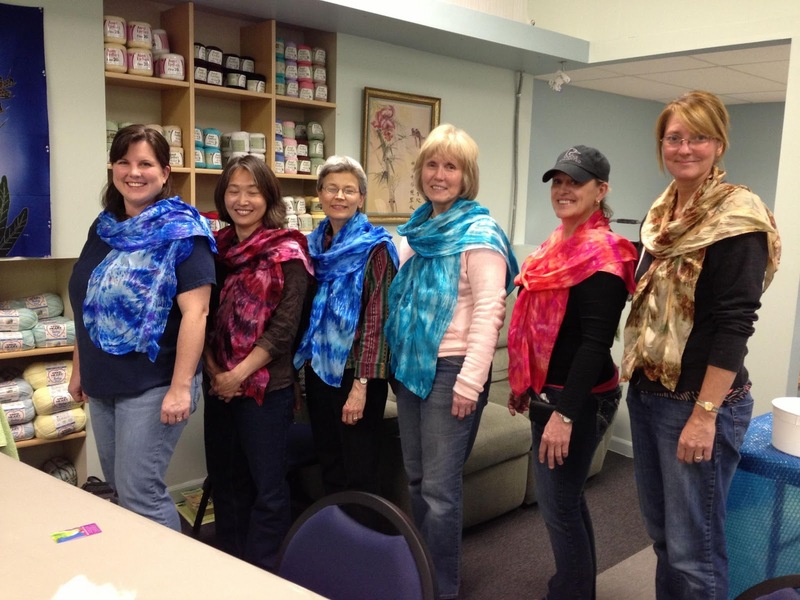 HeartFelt Silks will be a vendor at the Shepherd’s Harvest Sheep & Wool Festival, May 11-12, 2013! 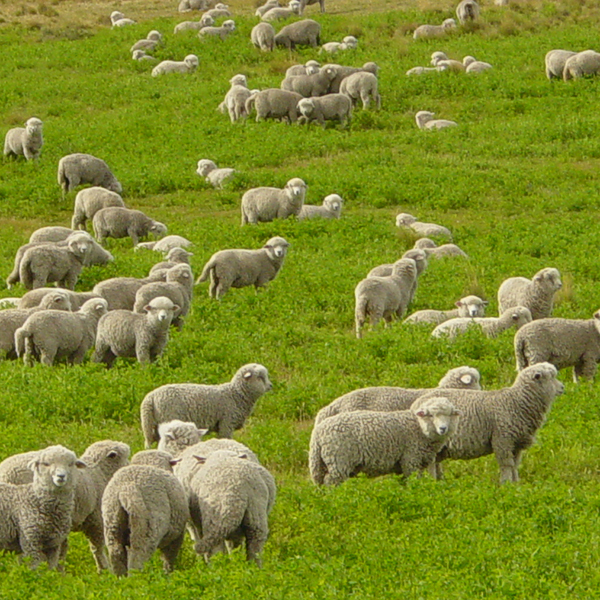 This is Minnesota’s largest fiber festival; it connects shepherds with fiber and animal lovers. 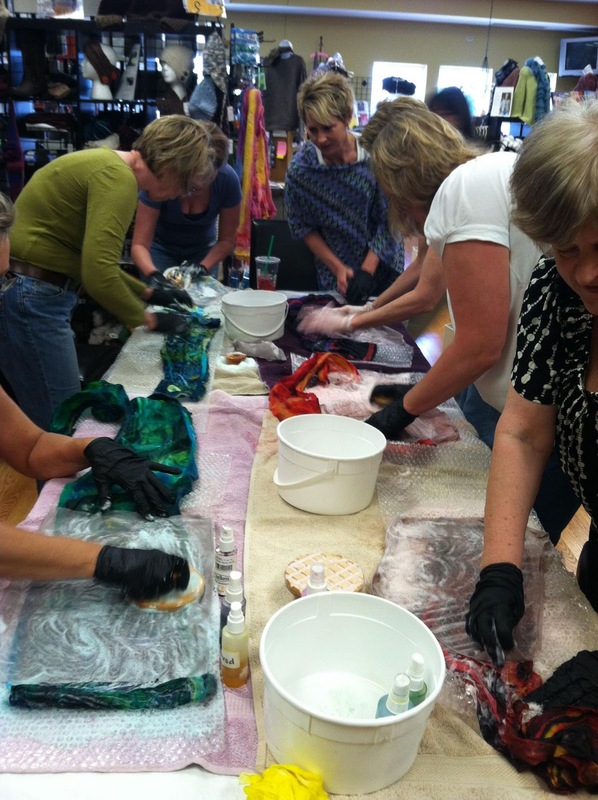 There will be classes, events, demonstrations, and fun for the whole family. 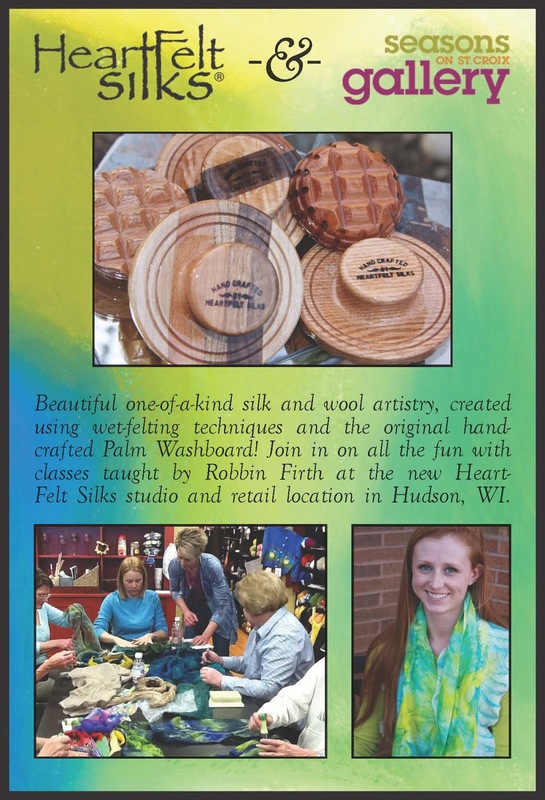 Both Robbin and Harry will be in attendance, and our full selection of fiber arts supplies and tools will be available on display and for purchase — wet-felting kits, hand-dyed silks, our Palm Washboard wet-felting tools, hand-crafted wood shawl pins, and much more! We hope you can visit us at this exciting event! 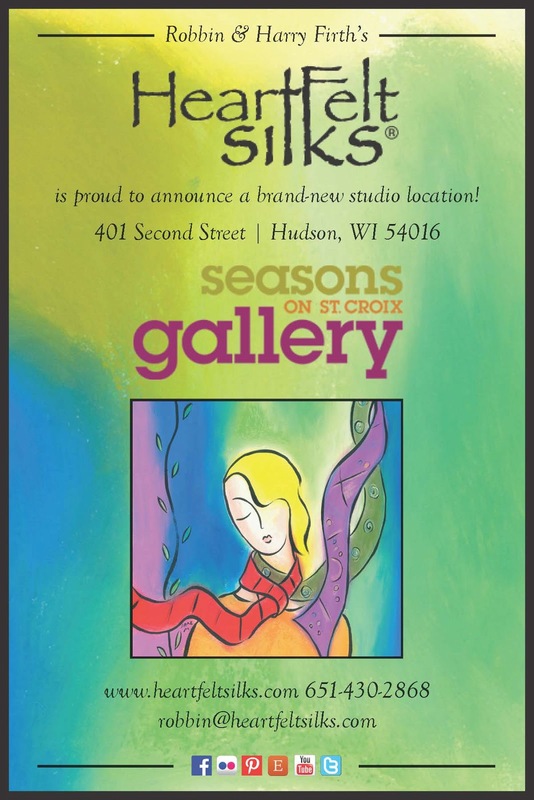 We are counting down to the Grand Opening of our very own Fiber Arts Teaching and Retail Studio, coming very soon at our brand-new location on 401 Second Street in Hudson, WI, at the Seasons On St. Croix Gallery. 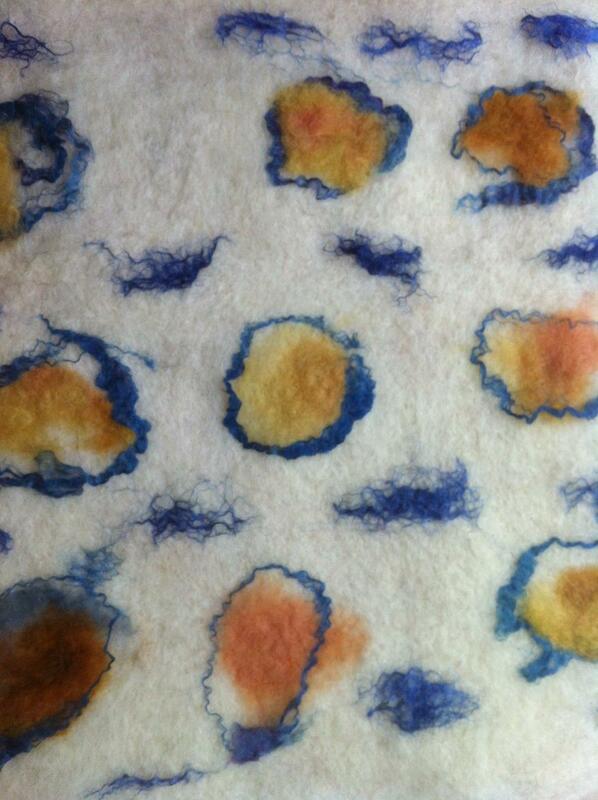 Please stay tuned for the schedule of upcoming felting classes! In the meantime, please follow us on Facebook for regular updates, and visit our website and shop. See you soon!